SEMAR owes its beginnings in 1975 to the passion and experience of its founder Mr. Marco Selci. The company is the business partner of many of the most important dealers within the industrial field, manufactures high precision mechanical parts and assemblies. SEMAR has largely developed over the years by acquiring people, culture, machinery, processes and certifications, through both the stimulation coming from the customers’ needs and the intuitions of the owners and the team members. The company has been continuously evolving thanks to its experience and potentials, to meet the ever-changing market needs. SEMAR operates in both national and foreign markets, granting quality and service for the complete customers’ satisfaction. Since 1975 components and mechanical assemblies, custom-made or standard, thought and built with scrupulous respect for technical details. People focused on the continuing improvement of both products and methods, who work every day with dedication and loyalty. 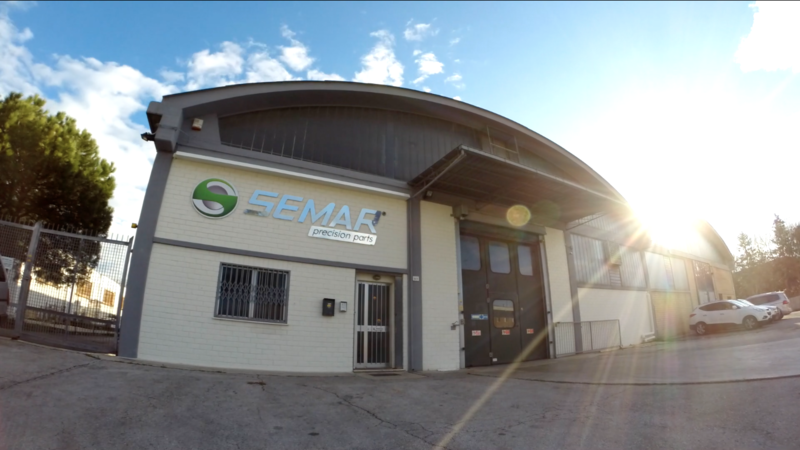 SEMAR is customer-friendly and faces the always-new challenges of the market with quality, competence, passion, technology. Who chooses SEMAR knows what he can count on. Qualified staff with an average residence in the company of more than 10 years. Turning department equipped with both machines for the flange working and automatic loading ones [Mori Seiki, Dmg, Muratec, Traub, Wasino]. Multi axis vertical and horizontal machining centres [Mori Seiki, Mcm, Heckert]. CNC grinding: external, internal, universal, on profiles and threads [Studer, Lizzini]. Tests laboratory equipped for dimensional, geometric and surface inspections with over 300 instruments, periodically calibrated. Systematic inspections on production and outgoing batches. ISO 9001 certified since 2000. Highly qualified suppliers for treatments, special machining and industrial supplies. Both production planning and delivery management are customer-oriented. Qualified staff with an average residence in the company of more than 10 years. Turning department equipped with both machines for the flange working and automatic loading ones [Mori Seiki, Dmg, Muratec, Traub, Wasino]. Multi axis vertical and horizontal machining centres [Mori Seiki, Mcm, Heckert]. CNC grinding: external, internal, universal, on profiles and threads [Studer, Lizzini]. Tests laboratory equipped for dimensional, geometric and surface inspections with over 300 instruments, periodically calibrated. Systematic inspections on production and outgoing batches. ISO 9001 certified since 2000. Highly qualified suppliers for treatments, special machining and industrial supplies. Both production planning and delivery management are customer-oriented. Production of precision mechanical parts through numerical control machining. Machining of all metals, with particular expertise in alloy steels, stainless steels, aluminium alloys. Production specialized on medium sized lots (50÷3000 pcs). Production of small batches for high complexity items. Development and control of dimensional tolerances up to grade IT2. Assembling and testing of mechanical parts according to customers’ specifications. Management of the entire supply, including materials, treatments and commercial components.